To the best of my knowledge this is the newest street in Trim and the second newest is Finnegan's Way which links Emmet Street with Castle Street. 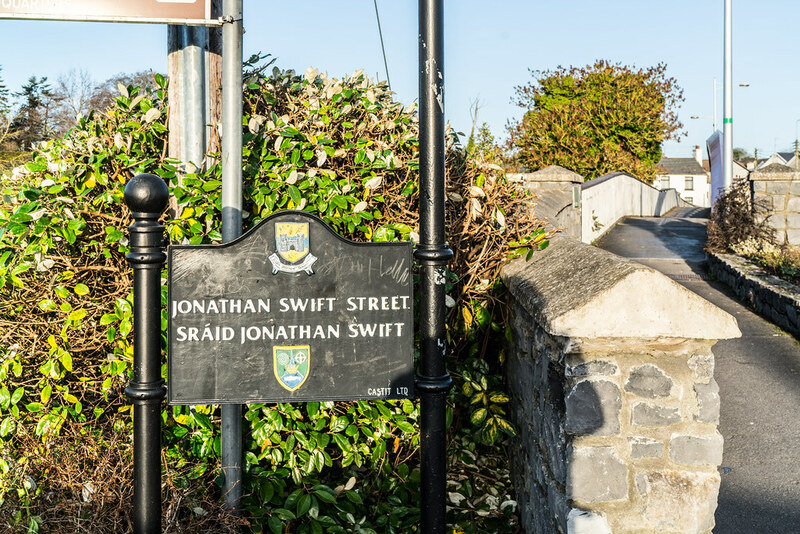 The street was named after Dean Jonathan Swift who had close connections with the town. It links Watergate Street to the new Office of Public Works (OPW) headquarters and, because it falls both into the town council and county council area, the name must be agreed by both councils. It was decided not to name it as ‘Swift Street’ as one could not be blamed for speeding down a streets so named [I assume that someone with a sense of humour started that discussion].